How are you using growth experiences to contribute to your brain health? You can create new neural pathways until the day you die. Like any other muscle in your body, you either use is or lose it. So keeping your brain engaged and consistently rewiring itself is key to not only your long-term cognitive functioning but also your overall well-being. Neuroplasticity, or brain plasticity, is your brain’s ability to reorganize itself through your environment, behavior, thinking and emotions. You can do this both physically and functionally throughout your life. Up until Dr. Norman Doidge, a psychiatrist from the University of Toronto, researched the therapeutic potential of neuroplasticity, it was a popular belief that the brain was fixed and unchangeable. We now know that brain plasticity is a fluid thing and it’s been used for good, to help treat conditions like multiple sclerosis, stroke, Parkinson’s and autism, among others. From myth about aging #7: the way you age is not dependent on your genes. 75% of the way that you age is in your control – which means your environment, lifestyle and behavior have more of an impact on the way that you age vs the 25% attributed to your genes. Tip: Your behavior is everything when it comes to rewiring your brain, so taking daily micro-action to break bad habits is critical to successful aging. These four parts of your brain are responsible for most of your memory, the hippocampus and the cerebellum being the two regions with the highest rate of neurogenesis. The reason why these two regions of your brain are important for neuroplasticity is because they’re full of granule cell neurons, which have the highest rate of neurogenesis. There was an iconic study done on the neuroplasticity of London taxi cab drivers and bus drivers. The bus drivers had measurably smaller hippocampuses from driving the same route everyday vs the cabbies that relied on their brain to constantly navigate different daily routes. By immersing yourself in rich, exciting and new experiences you’ll be able to partake in high-challenge activities that’ll serve as part of your lifelong learning. To help you do this, I’ve put together this step-by-step guide on how to increase your neuroplasticity and growth experiences. Building your brain plasticity is about changing your behaviors. And before setting out on any new behavior change, most people miss the critical step of finding clarity. Knowing exactly what you want to accomplish, and more importantly why you want to accomplish it, is foundational to making any real changes for the long-term. Which questions resonate the most with you? Finding out what’s at the core of your value system is huge. Your core values, your priorities and your personality traits all play a critical role in not only motivating your behaviors but also in giving you a true sense of meaning and purpose. And when you’re fulfilled and partaking in things that actually matter to you, you’re more likely to continue your good behaviors that challenge you and help you grow over time… nice, a positive feedback loop. Once you have a crystalized understanding of your core values, you can start to align everything else around those core values. That alignment of your core values is the secret to making better conscious decisions, which ultimately helps your brain to grow. Once you have clarity you’ll be able to hone in on meaningful goals to set for yourself and also a better understanding of which ones to tackle first. Goal setting is key to setting yourself up for lifelong learning, and lifelong learning is a critical part of increasing your neuroplasticity. Tip: Think beyond puzzles and brain games. To truly engage your brain for the long-term, think of more profound experiences that can really challenge you and awaken your passions. Bonus Tip: If you can partake in activities and goals that immerse the motor, auditory and visual parts of your brain, it’s like a full-body brain workout where you’re more likely to engage your corpus callosum. This’ll increase your bridged connections between your left brain and right brain, which means you’ll become better at solving complex problems and have better coordination. Community – your social interaction level within your community; whether it’s your friends, family, neighbors, colleagues or even strangers, your social interaction is so important to your health and overall well-being. Growth – experiences, people and activities that challenge you; some questions to ponder: How can you create a new and exciting experience for yourself? What have you always been curious about learning? What do you want to accomplish so that you have no regrets in life? What have you had to lock away in a hope chest because life got in the way? Giving back – whether it’s leaving a legacy, donating or volunteering your time and skills, giving back is good for your mental, emotional and physical health. Volunteerism can fill your need to be needed and give you a sense of purpose, even if it’s giving practical help to your family and neighbors. Health – this includes of course diet and exercise, and also your mental and emotional health; where do you put healthy habits on your priority list? What do you want to change about this area of your life? Now pick one of the four core categories to focus on first and use that topic to create your first goal. From there you can create a specific goal and that becomes an opportunity for you to increase your brain plasticity, simply by setting out to achieve that one goal. What would you do if you had more courage and no fear standing in the way? What else do you want to experience and accomplish so you have no regrets? What have you had to lock away in a hope chest because life got in the way? To make it even simpler, you can turn your goal into a SMART goal and make sure it’s not only specific, but also measurable, achievable, realistic and timely. Now you’re ready to take some action. The trick is to take the most minute micro-steps every single day when working toward your goal. The last thing you want to do is to overwhelm yourself with too much to do, or worse yet, a much-too-big picture goal that leaves you not knowing where to even start. To help you set up micro-steps for your goal, you can first brainstorm on a long list of creative ideas on things that you can do to get there. The more ideas you come up with, the more creative your ideas will be. From there, you not only have a bunch of ideas to work from on paper, but your mind will continue to brainstorm and think creatively, especially as you prioritize your goal. It’s amazing what happens when you fully and mentally commit to something… the how just shows up. You can also keep a daily journal or log where you can write down one simple task that you can complete each day to make progress on your goal. Challenge yourself to make progress consistently every day. If you can work this into a morning routine, that’s where you’ll likely find your super power. Tip: Be consistent. It’s better to make smaller goals each day than a bigger goal less frequently. If you’re having trouble keeping up, break down your daily action item into something even smaller. When your brain first records changes, these initial changes in your brain are only temporary. To make lasting changes in your brain patterns and to build up the most brain plasticity, you need to be diligent about challenging yourself daily. The main point about developing a growth mindset is that it comes with embracing challenges. When chasing any challenge or goal with a growth mindset, you need to seek those pitfalls and look forward to “failures” or pain points because hidden in those trying times and those annoying experiences is a treasure of growth and learning. We all have fears, and avoid challenges because of our fears, but if you can shoot straight for the challenges and seek them out, this’ll change everything. Tip: To truly have a growth mindset that sets you up for lifelong learning, make a new goal for every goal that you accomplish. This’ll help you focus more on enjoying the process and the journey itself. Self awareness is so powerful when developing any new (and good) behavior. Once you’re more aware of your surroundings and thoughts, and when you’re more awakened to what’s happening in your brain and consciousness, you’ll be more likely to make value-based decisions, which are basically better more meaningful decisions. At the root of most of our unhealthy behaviors are bad habits and choices. And most of them are subconscious that we no longer actively think about. According to a Roberts Wesleyan College article, we make 35,000 decisions a day. Individuals make choices consistent with their values, only when those values are cognitively activated. When it comes to increasing your neuroplasticity and changing the patterns in your brain, this is especially important. If you’re living on autopilot (which most of us are), it’ll likely take extra energy to get used to awakening your prefrontal cortex, the decision-making part of your brain, before creating any new good habit. So practicing mindfulness is a critical part of awakening your consciousness, so that you’re able to make good decisions and work toward filling your time with the things you actually care about. Caveat: You can create bad daily habits just as easily. This is another reason to pay extra close attention to what’s going on upstairs and to be mindful of your thought patterns. Living each day with intention, especially when you set the tone with a morning routine, can better impact your choices and behaviors throughout the whole day. Your circle of influence is so powerful. You become who you most spend time with, so make it count. Tip: Allow people who align with you core values into your circle of influence and lessen the amount of people in your circle of concern. By spending more time with people who align with you core values, you’ll more likely create meaningful growth experiences for yourself that’ll help increase your neuroplasticity. Surround yourself with like-minded people who will push you to focus on things like your growth, goals, health, values and purpose. The more you spend time with the right people and activities the more you’ll find yourself living with energy and triggering the active decision-making part of your brain. The importance of social interaction, especially among seniors, is so huge when it comes to your health – mentally, emotionally and physically. If you align your social circles with your values and growth goals, this can be a tremendous recipe for your brain health. Strength training – lift weights for all of your muscle groups at least two non-consecutive days every week. You can start light and ease into adding more sets and weight each week. Be sure to warm up first before lifting. Cardio – walking, swimming, biking, tennis or hiking. Start small and work your way up in both time and frequency per week. An example would be to start with 10 minutes three days a week and work your way up to 30 minutes five days a week. Don’t forget to warm up and stretch afterwards. Balance exercises – balance becomes increasingly important as we age. Try to incorporate stretching and flexibility exercises into your routine like yoga, tai chi or chi gong. Other balance exercises include using an exercise ball, walking with a book on your head or standing on one leg as long as you can and even with your eyes closed if you’re up for the challenge. For more ideas, Evelo has a good exercise guide. Tip: Reconnect with nature. This is a great way to knock out both steps #5 and #7. When you’re out in nature it can improve your short-term memory by 20% according to a study out of the University of Michigan. Of course the longer you wait to change your behavior and habits, the harder it’ll be to increase your brain plasticity. And if you stop procrastinating, your brain will be less likely to fall victim to the use it or lose it principle. Peter Voogd’s Decision Train – you don’t wait until you feel like doing something. Instead, you do some pre-planning and act first, decide second and feel last. Most people are unsuccessful at taking action because they do the opposite and feel first before making their decisions. Both concepts are based on the idea that if you wait until you feel like doing something, you’re never gonna do it because you’re never gonna feel like it. So a way to hack procrastination is to trick your brain into moving and acting as quickly as possible before your mind gets in the way. You can train your brain to get in the habit of taking immediate action. By being proactive and taking preventative measures in preparing for your aging self, you’re already on the path to raising your standards. You’re helping to shift our culture to uproot ageism by taking care of your future self and setting an example for the people around, so thank you for doing all the work. To keep you on the right track, continue to hold yourself accountable and follow these nine steps consistently and diligently. 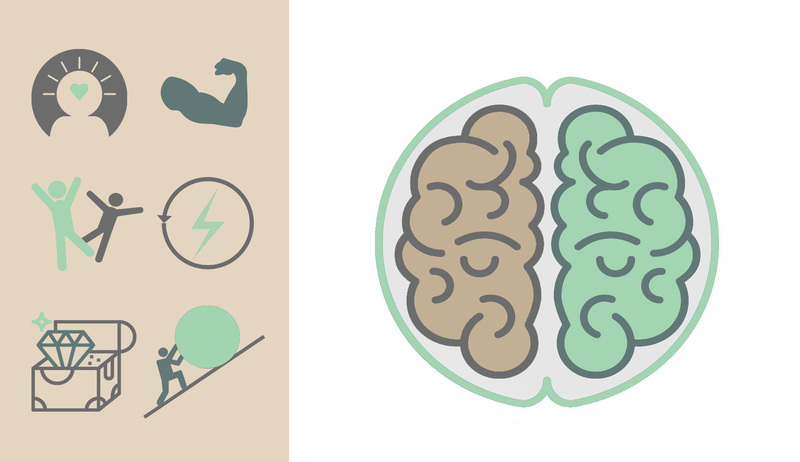 By keeping your goals and progress at the forefront of your brain, you’ll more likely be immersed in not only achieving your goals, but also actively engaging your brain so that you’re flexing the right muscles that maintain your cognition. Your connections within your brain are constantly changing and they’re becoming either stronger or weaker. The reason why your brain tends to not change as you become older is not because your brain is resistant – it’s because your mindset is resistant. Remember, your behavior is in your control, and by practicing the awakening and long-term use of your brain you’ll will ultimately create the most neural pathways and maintain cognitive functioning as you age. Which of these steps was most helpful to you? Where do you see the most impact in changing your behavior to engage your brain? Founder of Second Wind Movement, Cyn Meyer offers education + coaching to help seniors transition into amazing next chapters and age successfully in place. She helps them live out active, healthy, happy "retirement" years, so they can better evade depression, loneliness, Alzheimer's and nursing home occupancy.